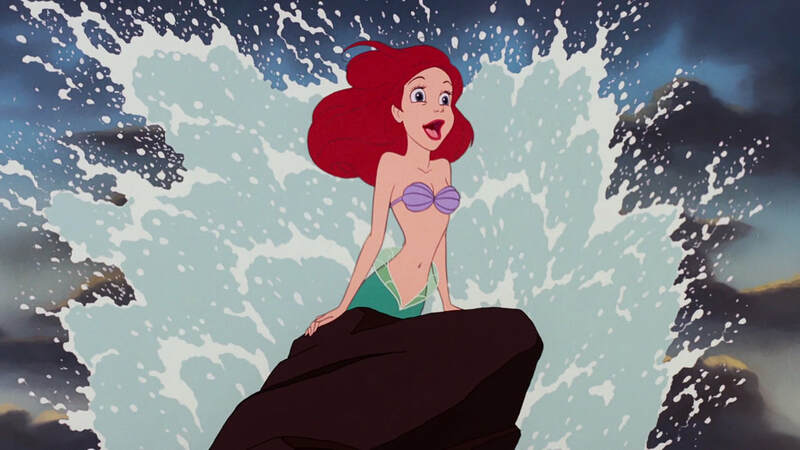 From Homer to Starbucks, a look at sirens and mermaids and feminism and consumerism. ADIDAS available for pre-order HERE via Coach House Books! 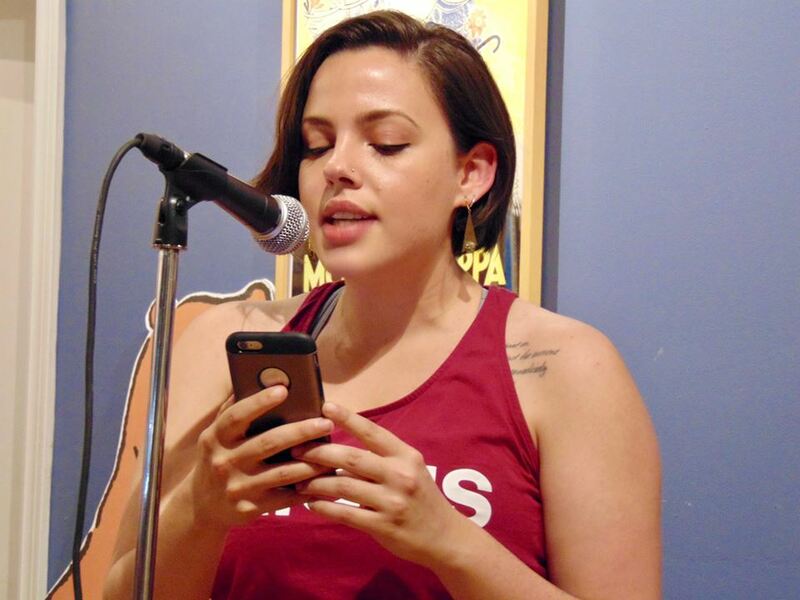 "What started as a small sequence of poems about the Starbucks logo grew to monstrous proportions after the poet fell under a siren spell herself. All Day I Dream About Sirens is both an ancient reverie and a screen-induced stupor as these poems reckon with the enduring cultural fascination with siren and mermaid narratives as they span geographies, economies, and generations, chronicling and reconfiguring the male-centered epic and women's bodies and subjectivities." Domenica Martinello’s “All Day I Dream About Sirens,” as its title advertises, blends marketing and mythology (“luxury in thread counts / in picking up the threads / of time)”. Poems about Parthenope, Melusine and the Sirens alternate with dissections of Disney and the mermaid-like creature found on a Starbucks cup of coffee. In this mishmash world, “The sun hangs in the sky like a logo” and “AquaMermaid classes rock suburbs,” where “‘it’s all about the tail, fitness and fantasy wise.’” She writes, “Have you ever tried / to profit from the tides? / It’s now almost impossible / to coax myths from the blue / patterned fabric of the world.” Almost. Somehow Martinello manages this and more. 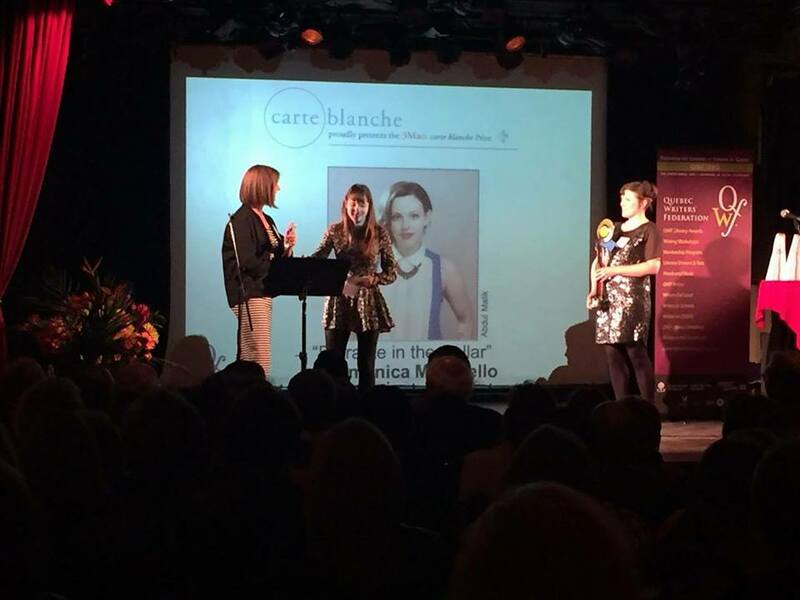 Longlisted for CV2’s Young Buck Poetry Prize! 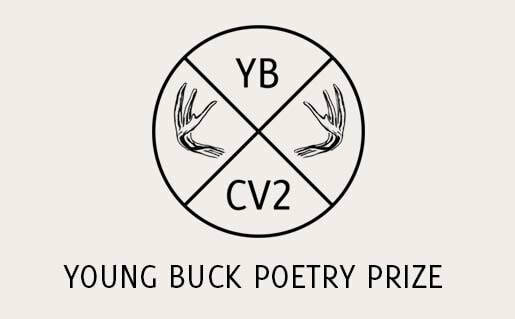 It was an unexpected surprise to find myself on the longlist for CV2’s 2018 Young Buck Poetry Prize (for real—a friend texted me about it and I was like huh??? I am??? Always a fun way to find out nice things). The longlisted poem, “Just Desserts,” is something new and uncharacteristic for me. It’s a straightforward narrative lyric poem, which might be a safe zone or sweet spot for some, but is usually an uncomfortable and risky space for me. It’s a welcomed push to continue with the new and to take personal risks—not only formal ones. Reading Emily Wilson’s new translation of The Odyssey inspired “Cattle of the Sun,” published in the new issue of Lemon Hound 3.0. 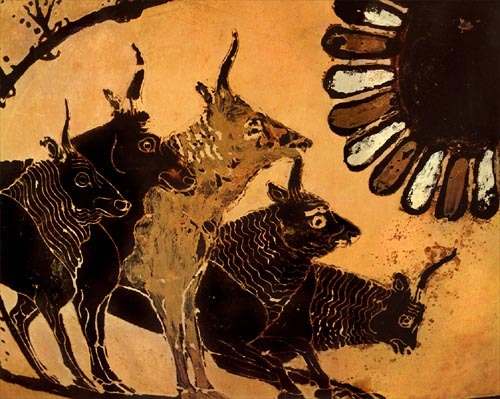 The cattle of the Sun depicted on a BC vase from Cerveteri (Inventory Musée du Louvre, Paris). 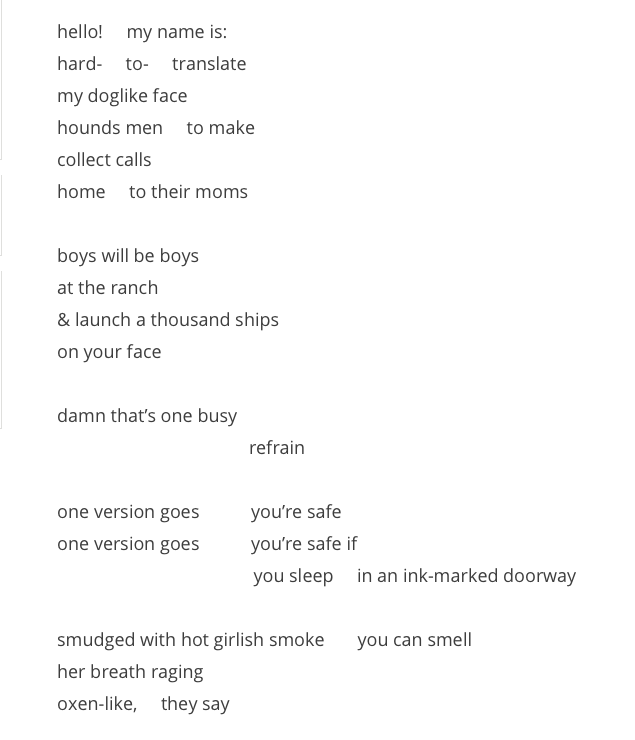 excerpt from “Cattle of the Sun"
I’ve been fortunate enough to have several poems from All Day I Dream About Sirens surface in some pretty incredible places lately. Check out an excerpt from DISNEY SONG published in the January/February Issue of THIS Magazine, ​PARTHENOPE & VIRGIL published on the DUSIE blog, and last but not least, the sprawling and angry THE IDEATION PROJECT (with accompanying audio!) published in Issue 40: Winter 2018 Issue of The Puritan.